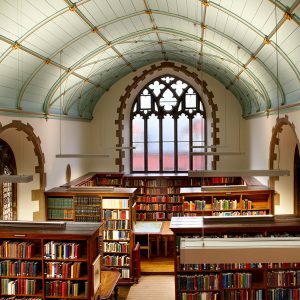 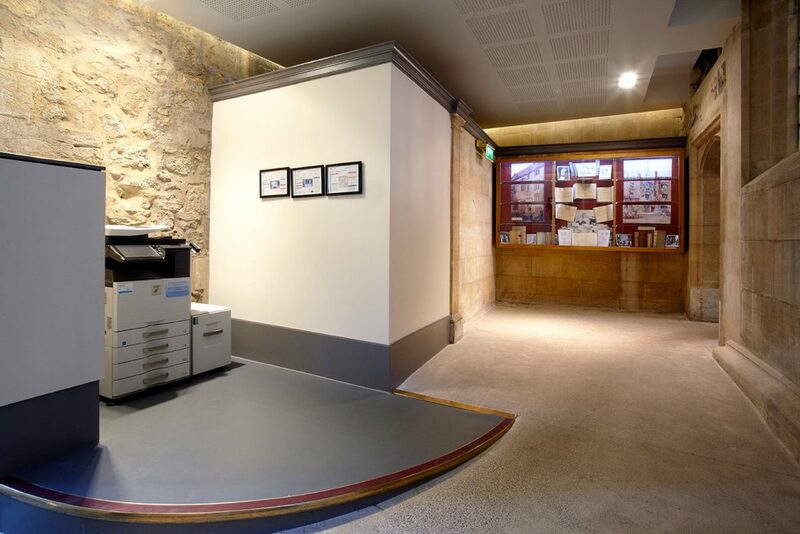 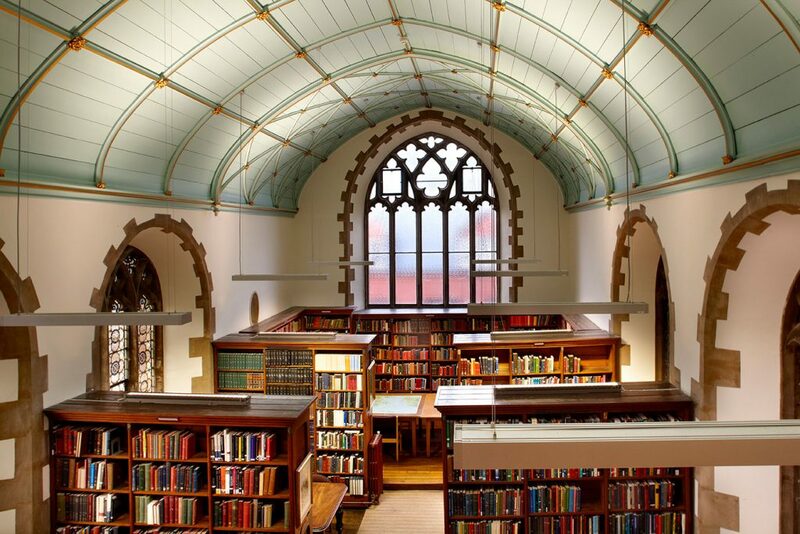 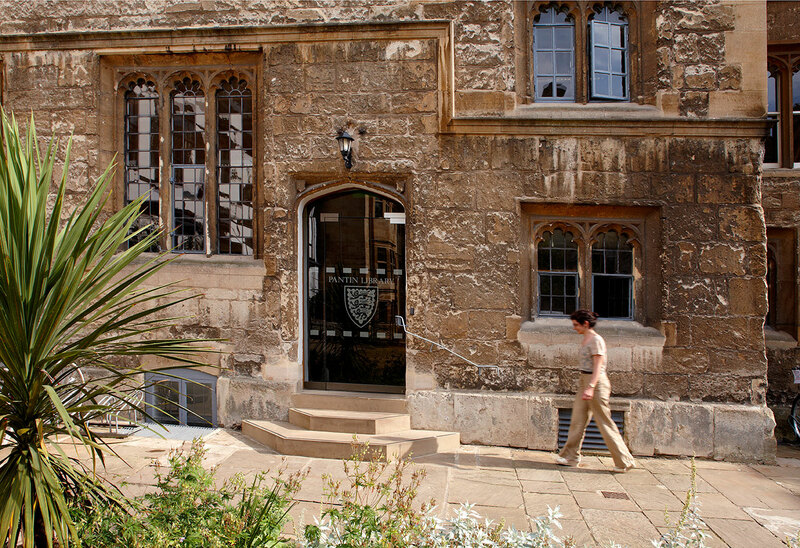 The project involved the careful preparation and redecoration of the library, which is situated within a college. 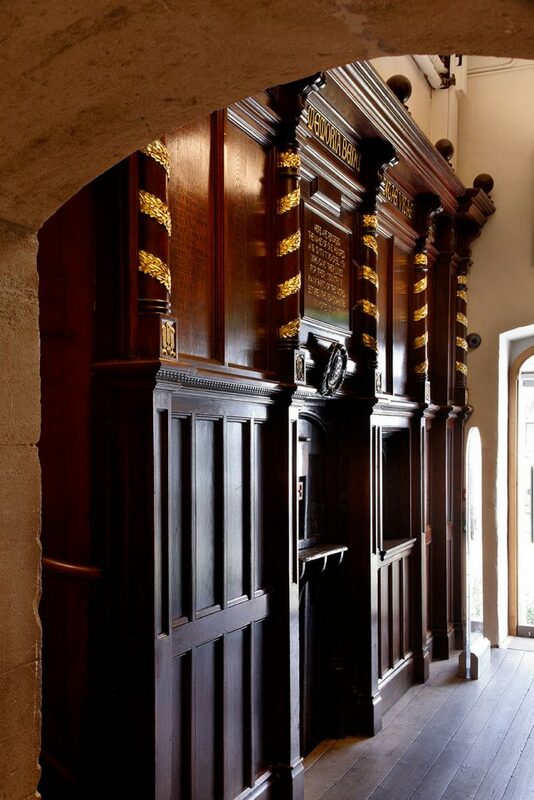 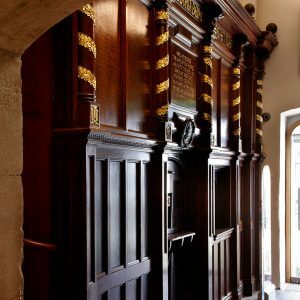 Careful restoration of the historic panelling and commemorative lettering was carried out; bespoke doors and frames, and etched glass doors were manufactured and installed. 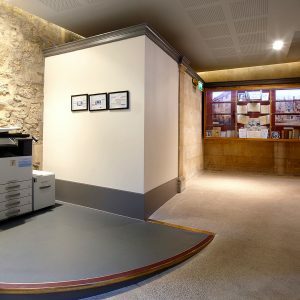 In addition, a winding ramp was constructed, using a specialist granolithic screed in order to allow wheelchair access to the newly refurbished library and its facilities.